It is in the end all about culture. It is all about DESIRE, about PASSION. Without desire a human being is like an immovable rock. With desire, the human moves mountains. The more I think about Hindu Capitalism, the history of capitalism as seen from Dierdre McCloskey's perspective, entrepreneurship from Schumpeter's (and Adam Smith's) perspective and even Veblen's account of the passionate (if unethical) capitalism of the robber barons; it comes back to the raw energy and Tarzan-like assertiveness of Ayn Rand's heroes. There can be no wealth creation, no innovation, no entrepreneurship without passion and INTENSE FOCUS. There must be an overwhelming desire to become rich. A desire to learn and focus. And to put in the hard work necessary for wealth creation. Entrepreneurs work really hard, and don't rest till they've proved themselves. Professionals (like me) can only enable wealth. We can't drive wealth. That has to be driven from within the soul of the world's 'movers and shakers'. But the society can help. By rewarding and respecting those who become wealthy. In feudal societies, only nobles were feted. In India only the Brahmins and Khshatriyas were feted. But now the Sudra – the worker, and the Vaishya – the trader and manufacturer, must be feted. 1) The Shudra must come foremost in India's future. The most respected individual of all, whose is highly trained, innovative. The carpenter, plumber, electrician, the man who is skilled with hands but knows exactly what he is doing. This is where vocational education comes in. India must dramatically improve this sector. 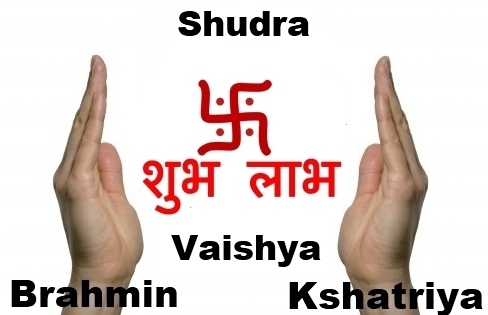 To be a Shudra must be a matter of GREATEST PRIDE. 2) The Vaishya, being the "capitalist", should find the funds, set up factories, and trade. He will be the entrepreneur. This is where business education comes in. India is already good at this, but could do better. 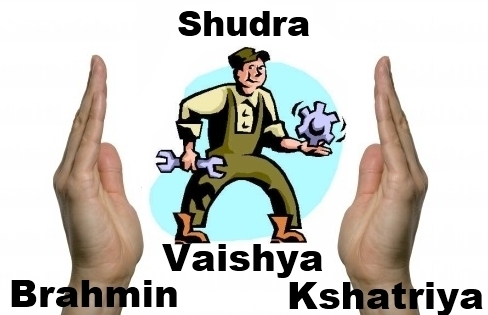 3) The Kshatriya will provide support to the Shudra and Vaishya through defence and police. This is where India's systems perform very poorly. This needs significant improvement. 4) The Brahmin will provide support to the Shudra and Vaishya through design of the system, through political representation, and through the justice system. This needs the most improvement of all. Our Brahmins (our thinkers) have entirely failed. They have tried to become Vaishyas themselves (public sector undertakings). That's the worst thing they could have done. Let them create SYSTEMS to allow enterprise to flourish. India must SHIFT its culture from respect for the IDLE, USELESS, SOCIALIST "intellectual" to respect for the "menial" – the hands-on producer of wealth. India must celebrate wealth. Note that in this "hierarchy", the Brahmin is the LOWEST, for he does NOTHING: only runs the system, like a night watchman or housemaid. 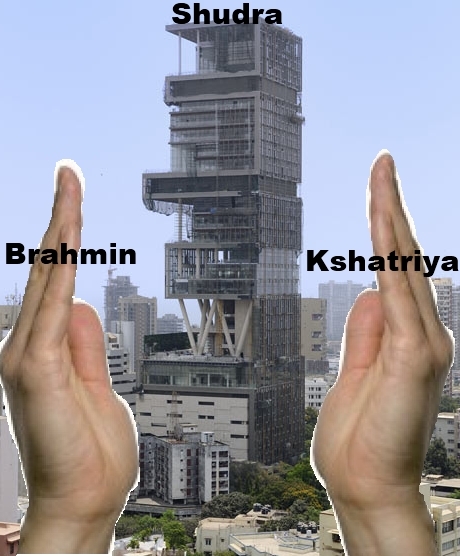 The Kshatriya is the gatekeeper and security guard. The Shudra is the HIGHEST since he produces.The Vaishya owns the house. Only the most ingenious, the smartest, the most diligent will aspire to become Shudras. To be a Shudra, i.e. wealth creator, would be a rank only worthy of the GREATEST, e.g. JRD Tata, or Narayana Murthy. JRD Tata was perhaps the greatest Shudra-Vaishya of all. Note, of course, that this "model" is not hereditary. Just based on the competence and talent of people. Only the best can become Shudras. a) Be rich. Aspire to be as rich as you can be. b) Build conditions in which venture capital and entrepreneurship is allowed to thrive. The New India would be ever-young of heart: brash, bold and energetic. Even megalomania would be accepted. India would be the daring, ambitious Golden Bird of the world. India would live life the way it is meant to be: ALWAYS ASPIRING FOR THE SKY. Never looking downward.